Citroen is one of the best automakers in Europe, and it has developed ay vehicles, but the DS was the best vehicle ever introduced by the automaker. The DS is also our coolest vehicle in the lineup. You can see the coolest cars in the world infographic from German Car Tech here. Today We will discuss why Citroen DS is the Best Vehicles from European Automakers. It is a masterpiece of technological advancement and great styling. According to the poll results and views of our readers, there is only car ever made in the world which shines beyond the heights of coolness, and it is the DS model of Citroen. According to us, there is not even any exclusiveness or any dashing performance stats that a DS offers that can make the vehicle that cool but it is the result of the poll. However, the vehicle is an example of creative engineering and excellent styling. It is one of the best vehicles ever produced by the automaker, and the DS is also one of the nameplates which is still used by the automaker. The DS was first introduced in 1955 at the Paris Motor Show with its sloppy shapes and styling and with its first introduction in the market, Citroen received more than 20 thousand orders in advance. On the very first day, when the model was introduced, it has become the symbol of French pride and innovation. Many thanks to the advanced hydropneumatic system that included an advanced self-levelling system to give a most comfortable ride on all terrains. At the time of the introduction of this beauty, French roads were not that good as they are today. The DS was the best vehicle for that time. This suspension system was advanced and beautiful as it lifts the suspension upon the starting of the car engine and it drops the pressure down upon switching off the engine. 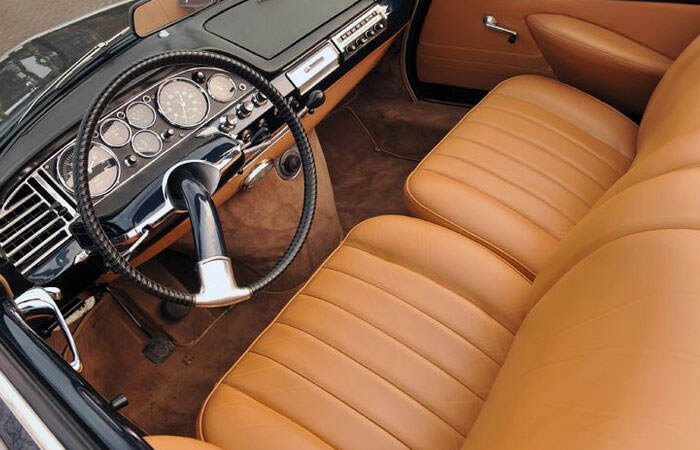 The DS remained in the production until the end of the 1970s and now a day’s the DS is a sub-brand of the automaker. There were 1.5 million vehicles produced in the life cycle of the DS. In 2010, Citroen finally launched the DS as a luxury brand for its company. However, the original DS is now the thing of the past, and you can hardly find one on the auction anywhere in the UK. The DS was voted as the most beautiful and coolest vehicle in the world. Anyways, the DS model has its place in the world of the coolest cars. The DS also has some stamp on its popularity by the celebrities like cosmonaut Yuri Gagarin and artist Marc Chagall. However, the vehicle has repeatedly appeared in the movies as well, e.g. a flying taxi in Back To The Future Part 2. In both of these movies, the DS picks up the passengers even after 60 years of its launch. If you think to buy this kind of luxury car, also think about the car insurance. There are 5 types of car insurance liability which are Liability Insurance, Collision Coverage, Comprehensive Coverage, Personal Injury Protection, Uninsured /Underinsured Motorist Protection. In our next article, we will write details about car insurance. Car insurance can be different comparing in different country perspective.